The MAPLOX Program combines FreshPax® CR Packets with the proven reliability of our APA-series of dispensers. 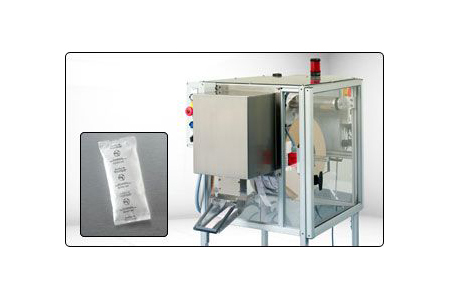 The MAPLOX Program combines FreshPax® CR Packets with the proven reliability of our APA-series of dispensers. It is an easy to use, low-oxygen packaging program designed to extend the saleable life of fresh meat at retail and help you to realize significant savings from central location packaging. It provides consumers with fresh and appealing whole muscle beef, ground beef, pork, lamb, veal and other value-added meat products. Pork – Chops, Sausage, etc. The MAPLOX Program provides a simplified solution that offers design, development, and dispensing of an optimized FreshPax CR packet, resulting in reduced spoilage, expanded distribution potential, and increased profits! Oxygen is the main cause of reduced shelf life. After a few days exposure to the oxygen content of air, meat loses its freshness, taste, and visual appeal — resulting in markdowns or loss of sales. MAPLOX Program maintains quality through the entire storage and distribution cycle and delivers fresh meat to the display case while realizing the savings of central location packing. In the typical case-ready package, a number of trays are over-wrapped and hermetically sealed in a master bag. The atmosphere of the master bag is typically modified down to All components of the MAPLOX Program use 21 CFR-compliant materials. This regulation is complied with even though there is no food contact with the master bag.